From charcoal cookery to Korean flavours, purple foods to plant butchery, every year brings a new food movement. Constant competition from the high street and the recent rise in food costs mean the environment for caterers is challenging. It’s easy to view sustainability and ethics as an afterthought when there are other issues to be concerned by. The very essence of the word ‘sustainability’ is about that which lasts. It’s about making choices that are good for business and that will outlive trends. So we must build sustainability into our menus and working practices from the outset. The EAUC's Green Gown awards celebrate universities with sustainability at their core. Those that develop their offer with trends in mind, but with sustainability running throughout. We’ve been involved with the awards for 7 years. We judge the Campus Health, Food & Drink category and endorse the menus at the awards ceremony. It’s always a treat to see what the catering teams and students have been working on and the innovative ideas that will help drive sustainability in the industry. Our own Food for Life Served Here award is used to great effect by universities to add to their sustainability credentials. The award provides guidance on topics such as animal welfare, sustainable fish, ethical and local sourcing, seasonality, and many other issues that are key in sustainable food. 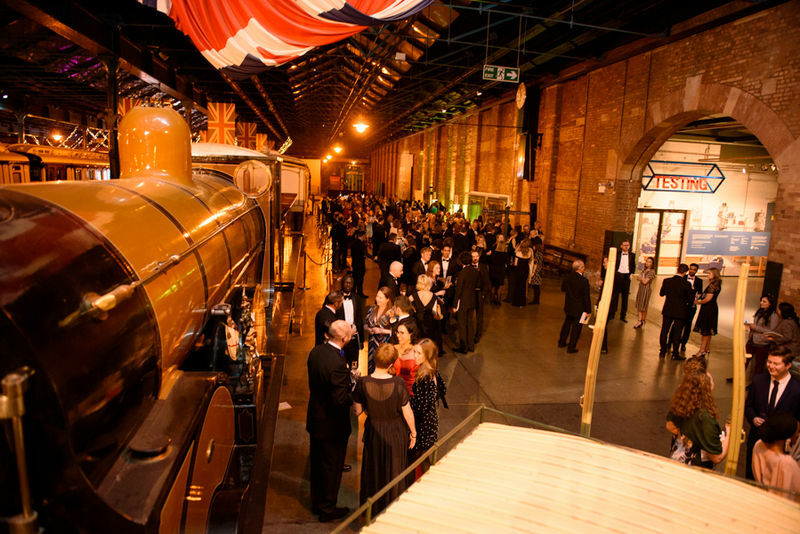 This year’s event was held at the National Railway Museum in York and hosted by our very own Helen Browning. Helen spoke about the vital role future generations will play in learning, working, and living more sustainably. She highlighted the importance of this in the context of food and farming, touching on the vital role that organic production can play in reducing climate change. We all enjoyed a scrumptious meal prepared by Compass Levy, A Food for Life Served Here gold menu. A vegan starter and dessert showed just how creative chefs have become when making vegetables and fruits the star of the show. Most of the produce came from the UK, with over half from the local area. Organic produce featured heavily on the menu. This year’s winners of the Campus Health, Food and Drink category, Sheffield Hallam University have incorporated a sustainable approach throughout all stages of their operation, from procurement to waste disposal. It was their holistic approach to sustainable food service that persuaded the judging panel in their favour. Lancaster University were highly commended for their attempts to tackle both food poverty and waste, with their campus ‘Community Fridge’ project. We were really impressed with the joint working involved in the project of the student-led project, showing just how important these issues are to our students. Each year we are inspired to see the ideas and ways of working that emerge. The Green Gown Awards are the perfect way to celebrate this and to highlight the important research that continues to lead the way for us all on sustainability, environmental and ethical issues. We are proud to work in partnership with EAUC to help promote that good work. Learn more here. Visit the Sustainability Exchange for more information and resources on all things sustainable.